Flying Star Fundraiser Nights – building lasting relationships with great coffee, food, & community! Our Fundraiser Night Program allows our cafes to serve as venues for local organizations to bring awareness to their cause and raise money. As a place to gather and foster community connections for over 28 years, Flying Star Cafe has served Albuquerque as an active supporter of local charitable organizations. 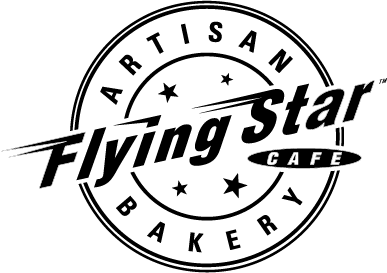 Flying Star Fundraiser Nights can be held at any one Flying Star Cafe location on either Monday, Tuesday, Wednesday, or Thursday night for a 4 hour period between 4pm and 9pm. 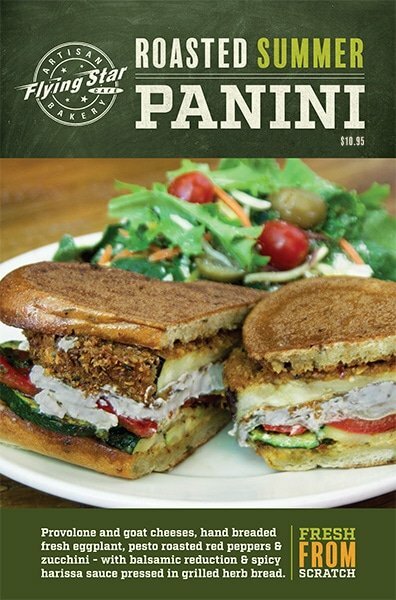 Flying Star Cafe donates 10% of sales during the designated period to your organization. Flying Star Cafe will create a poster and handbills to be used to advertise your Fundraiser Night. We will display your poster in the café for the two weeks prior to your Fundraiser Night and we will also promote the event on social media and local community calendars. We ask that all Fundraiser Night Partners bring a minimum of 150 customers to the event throughout the 4 hour period, and actively promote the Fundraiser Night to their supporters, staff, board members, trustees, and our local community. We also ask that all Fundraiser Night partners bring an engaging and informative interactive element to the event. This interactive element should bring awareness and information about your organization to those attending the fundraiser. • Kid-friendly solar energy experiments by solar power initiatives. Pick the Flying Star Cafe location you would like to have host your Fundraiser Night. We recommend picking the location nearest the area your organization serves. Visit the cafe you would like to have host your Fundraiser Night and ask to speak with a Flying Star Cafe Manager about setting up a Fundraiser Night. Discuss with the Flying Star Cafe Manager, the date, time, and interactive element you would like to have at your Fundraiser Night. Please keep in mind that the date for your Fundraiser Night must be a Monday, Tuesday, Wednesday, or Thursday night and at least one month away. Once your Fundraiser Night has been approved and scheduled you will need to come back to this page and complete our Fundraiser Night Application Form. A digital copy of your logo. A copy of your 501C3 Tax Exempt certificate. Links to your organization’s social media accounts. Allow two weeks for Flying Star Cafe to create a poster and handbills to help promote your Fundraiser Night. Two weeks prior to your Fundraiser Night you will receive electronic copies of the promotional poster and handbills. You can use these to promote your Fundraiser Night on local community calendars, social media, and by passing out handbills in the community. Excitedly await your Fundraiser Night! If you have any questions about the application form, or how our Fundraiser Night Program works, you can always email [email protected] or call 505-255-1128. We look forward to working with you and supporting your organization! Once you’ve spoken to the Flying Star manager and planned your fundraising event, use the form below to send a formal request to the Flying Star team. If you prefer, you can download a PDF version of the Application Form that you can complete at your convenience, then attach the completed form to an email addressed to [email protected], being sure to also attach the required electronic documents listed on the form. Use the drop down list to identify the location at which you would like to hold your fundraiser event. Fundraisers can be held Monday - Thursday for a 4 hr period from 4 pm - 8 pm. The date of your fundraiser must be 4 weeks from the time you contact Flying Star. Please provide one or two sentences about your organization, what services you offer, and what needs the fundraiser will benefit. We will use this on the flyers we create, and on our Facebook page, when helping to promote your Fundraiser Night. Please provide a brief description of the purpose of your fundraiser. All Fundraiser Night partners are asked to present an engaging interactive demonstration or performance element for their Fundraiser Night. The goal is to give Flying Star Café customers an opportunity to experience or participate in an activity that creates awareness about your organization. You may distribute informational material about your organization’s cause, but this cannot be the only element in the presentation. The documents listed here are required by any organization planning to host a fundraiser at a Flying Star Cafe. Please provide URLs to any organization web links. If you have additional information or questions, please let us know. By pressing SUBMIT, you are not entering into an agreement with Flying Star Cafe regarding your fundraiser.